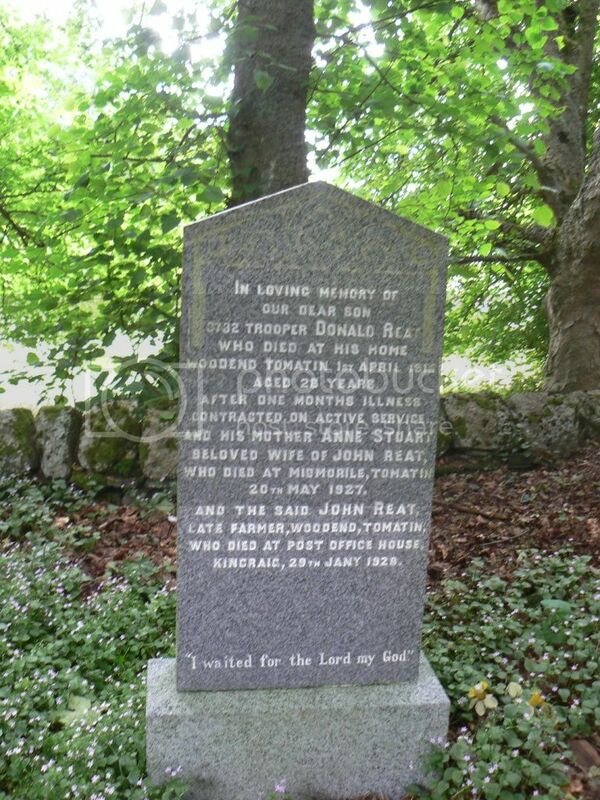 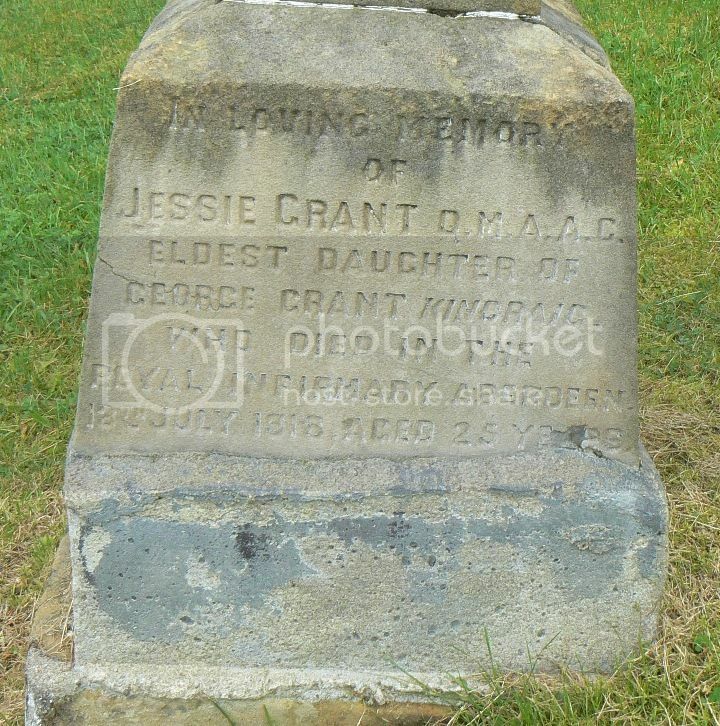 Daughter of George and Bella Grant, of Rest Cottage, Kincraig. 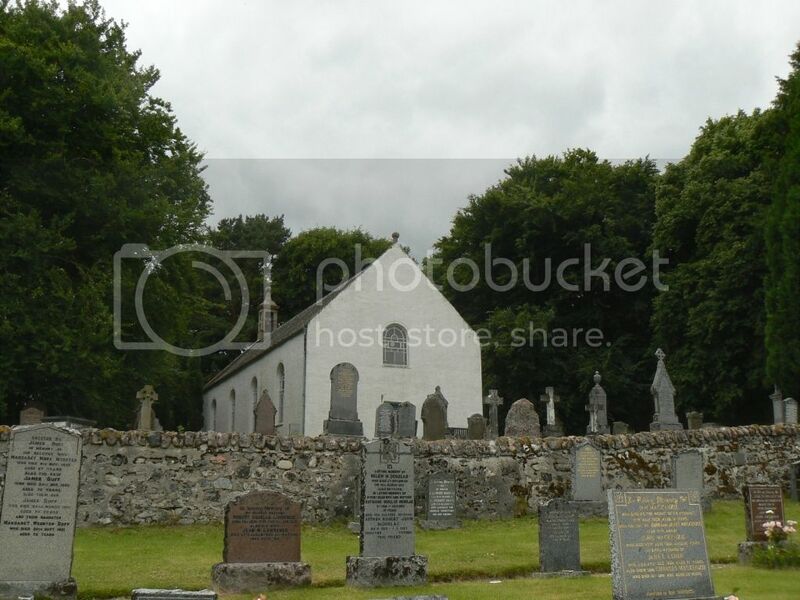 Grave ReferenceNear South-East corner of Church. 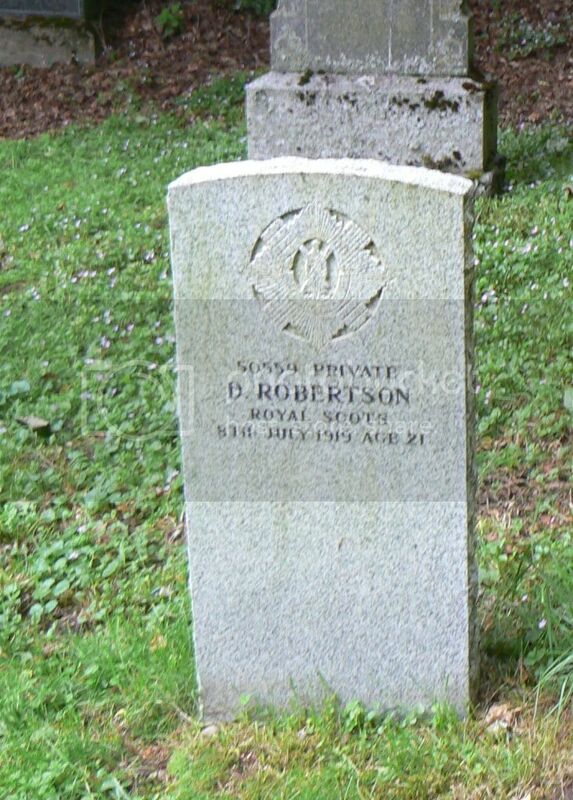 Son of Donald and Harriet Taylor, of Balchurn, Alvie, Kincraig. 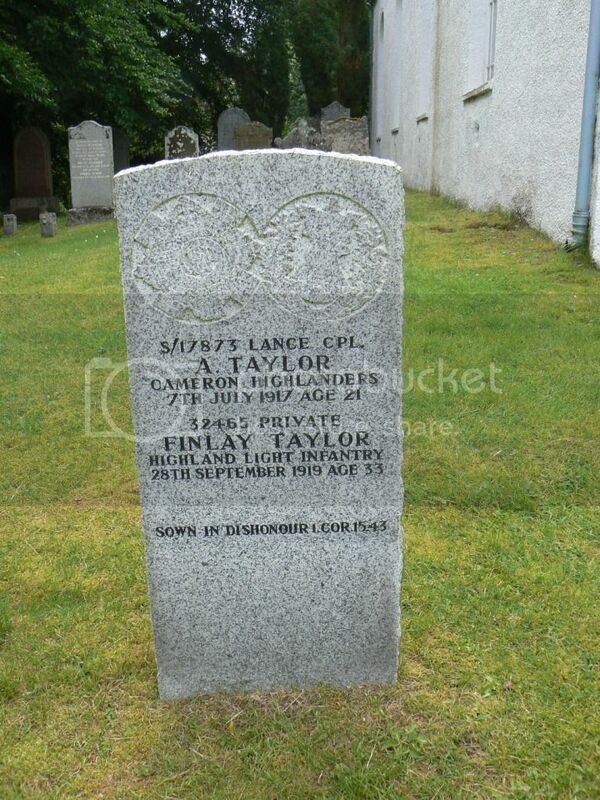 Son of Donald and Harriet McKenzie Taylor, of Balchurn, Alvie, Kincraig. 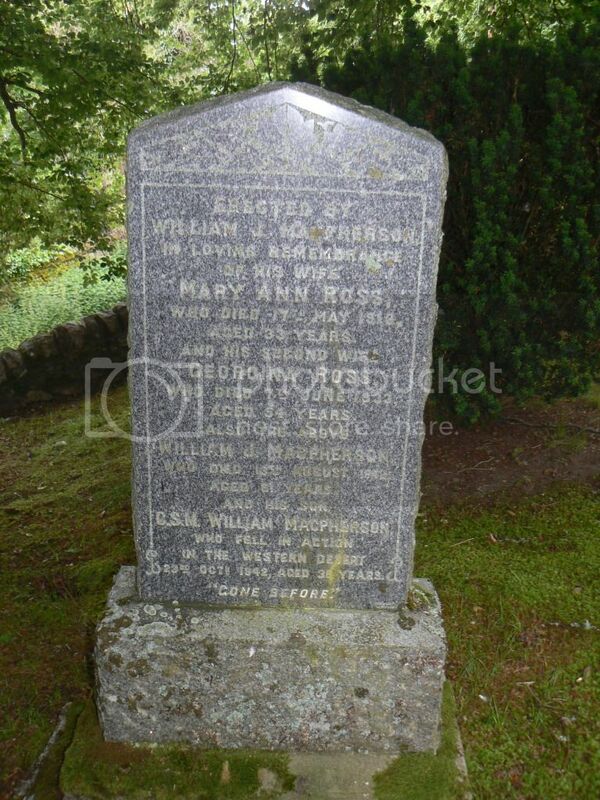 Husband of Jessie Asher, of The Temperance Hotel, Aviemore, Inverness-shire. 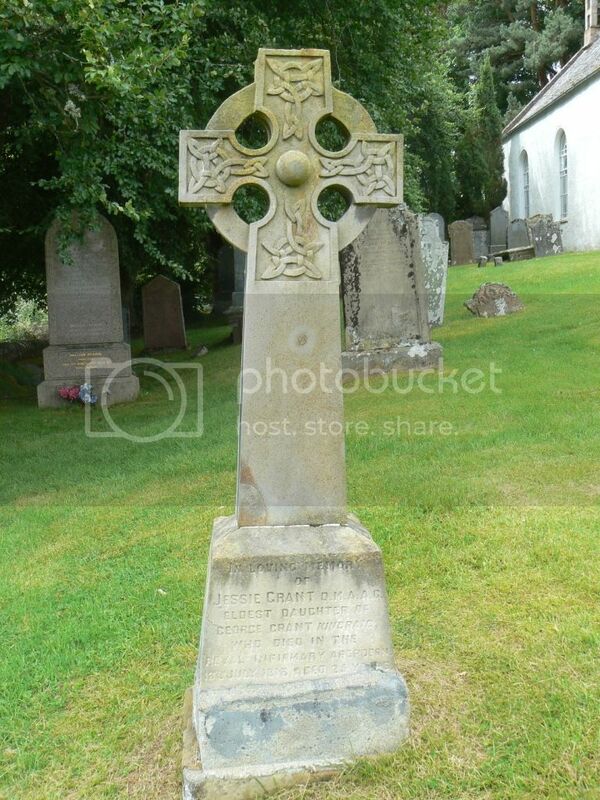 Grave ReferenceJoint grave X. C. 21. 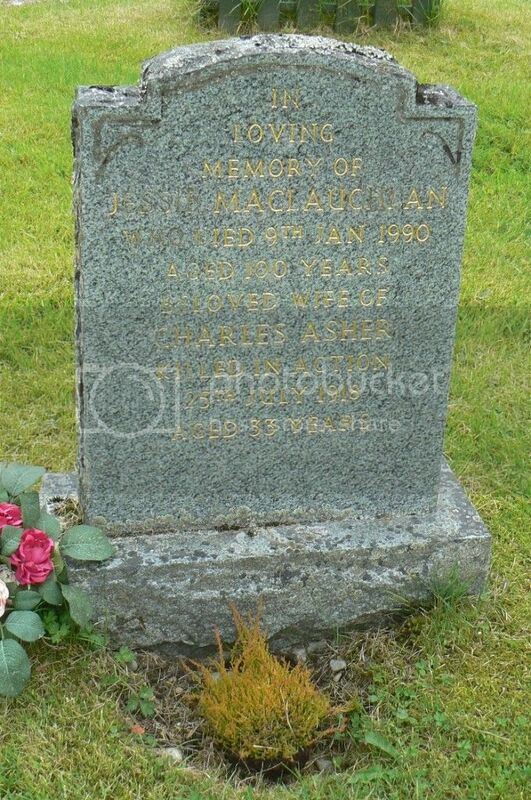 Son of William John and Mary Ann MacPherson; husband of Mary Clark MacPherson, of Garmouth, Morayshire.